The first reason we were in Asheville was to visit friends. 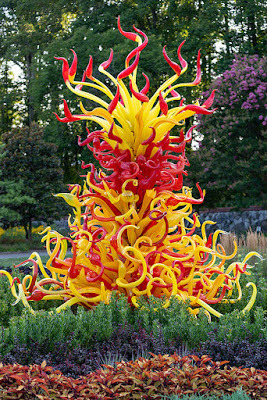 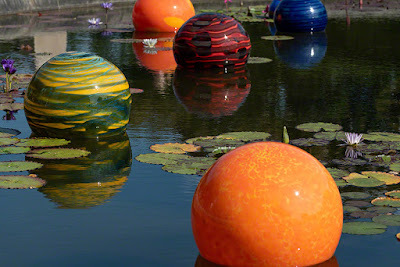 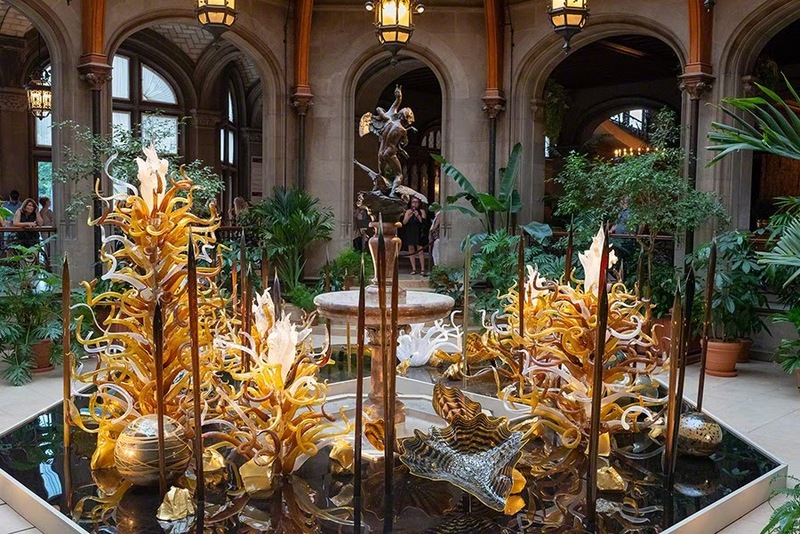 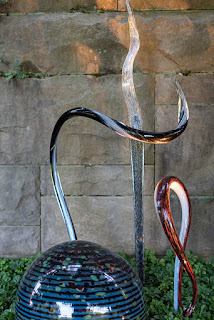 The second was to see the Dale Chihuly glass exhibition at the Biltmore House. 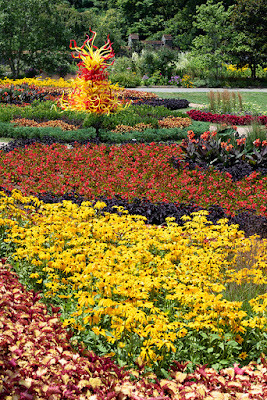 We arrived about 10:30 am and left 12 hours later. 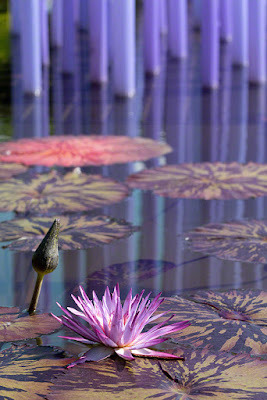 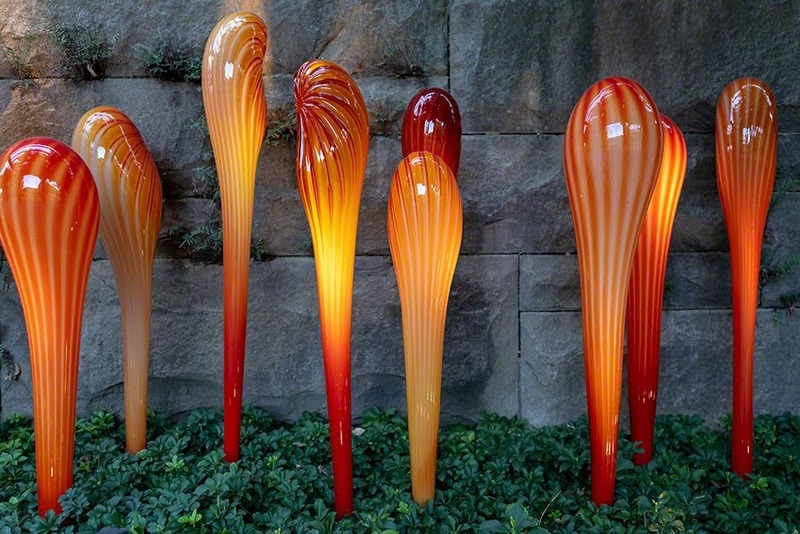 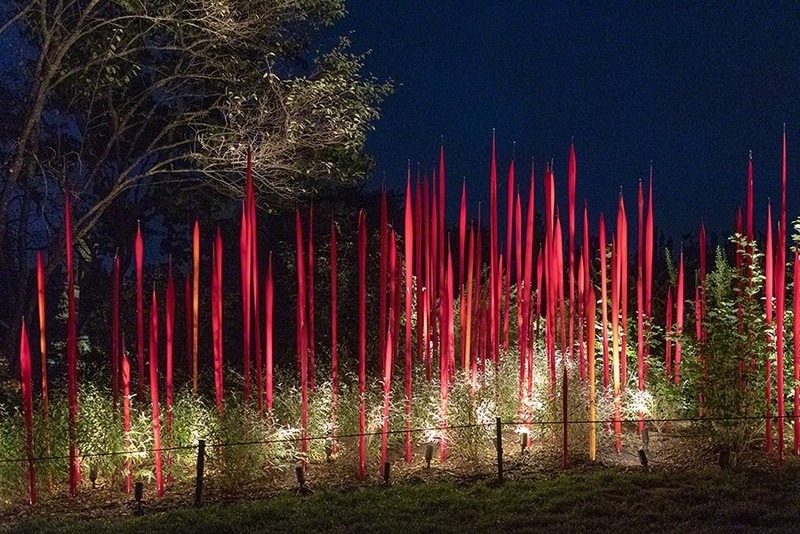 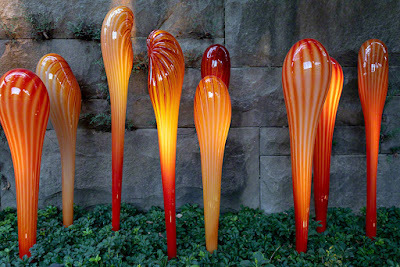 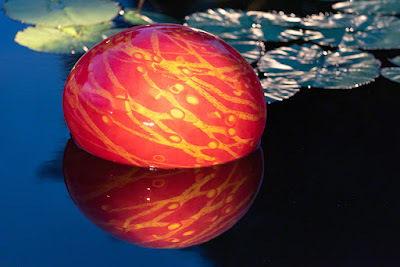 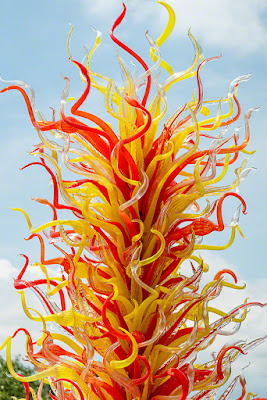 The Chihuly pieces set up in the gardens were amazing and we experienced them at every level of light. 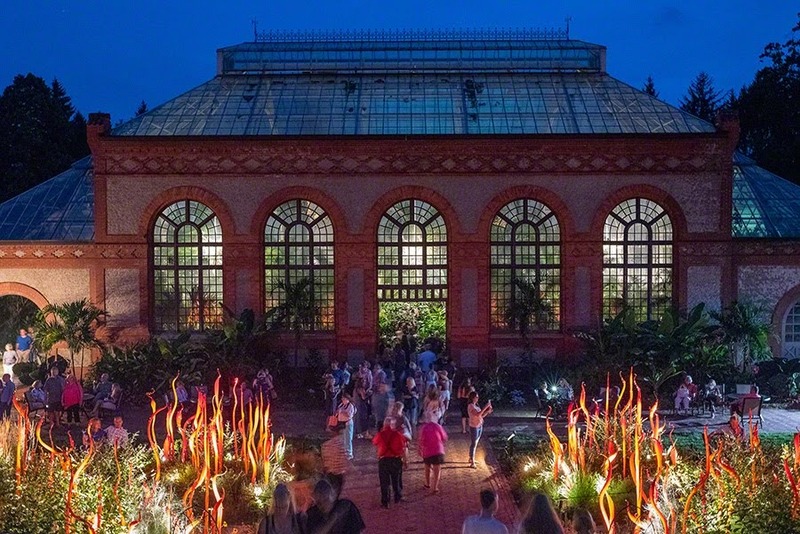 Our tickets to enter the house were for 7:45 pm but it allowed us to tour the grounds all day long. 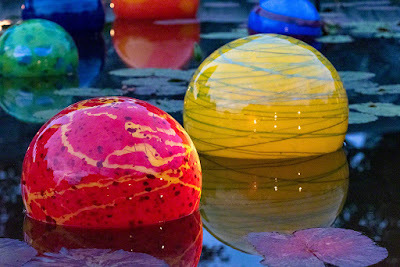 If you didn't have a ticket for the evening, then you are kicked out before sunset (in this case 7:00 pm). 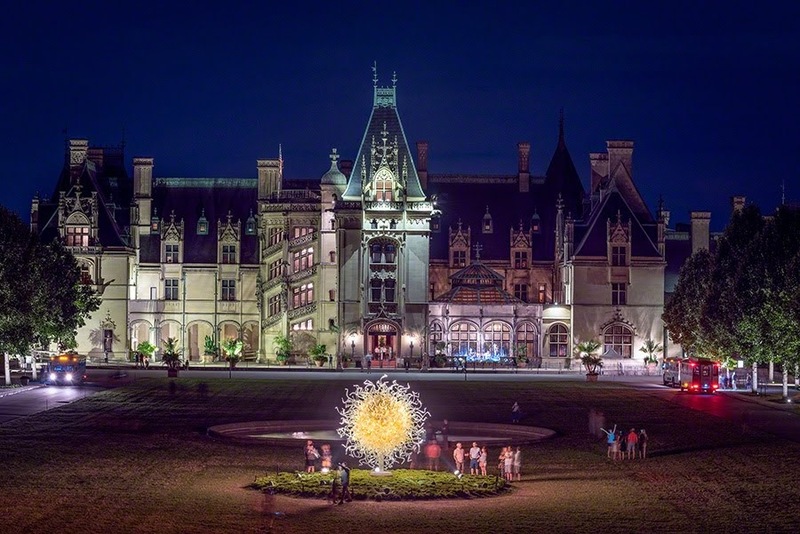 We were told that the Biltmore has been trying to get this show for 10 years and it took 2 years for the installation logistics. 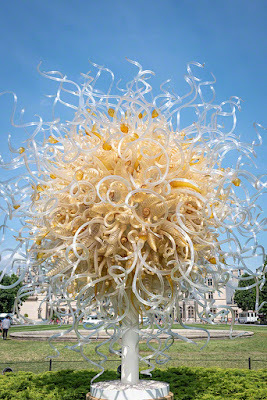 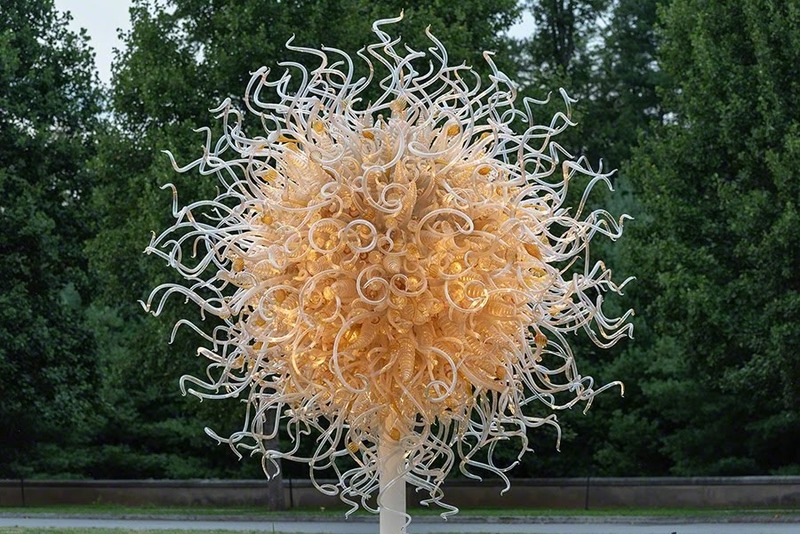 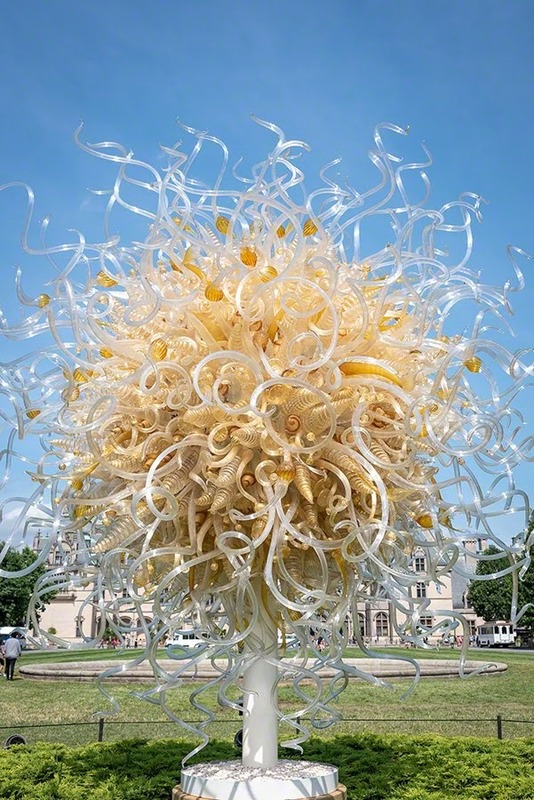 Sole d'Oro is installed in the middle of the large expanse of lawn in front of the Biltmore House. 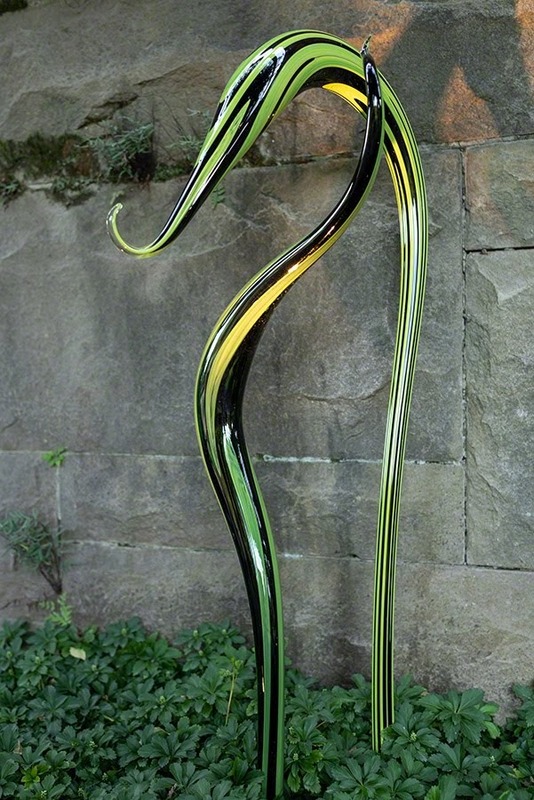 It really grabs your attention. 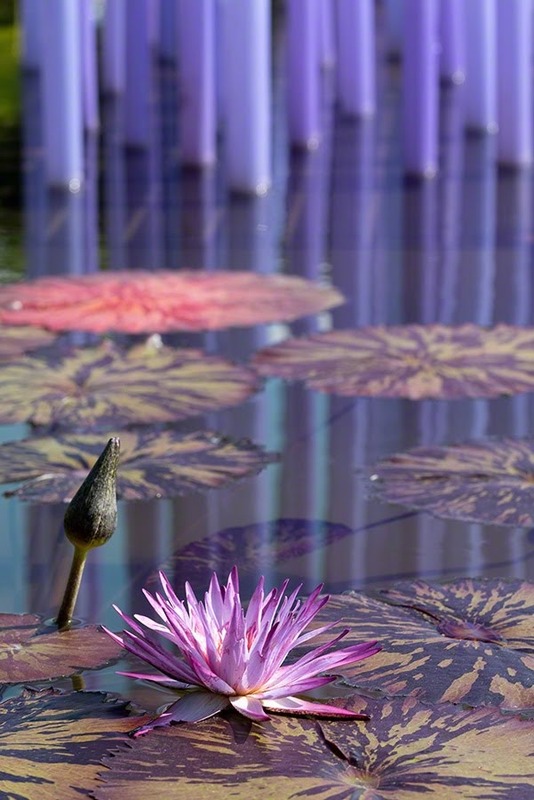 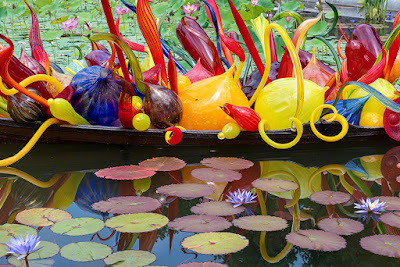 The Italian Garden is where the colors and installation were most dazzling. 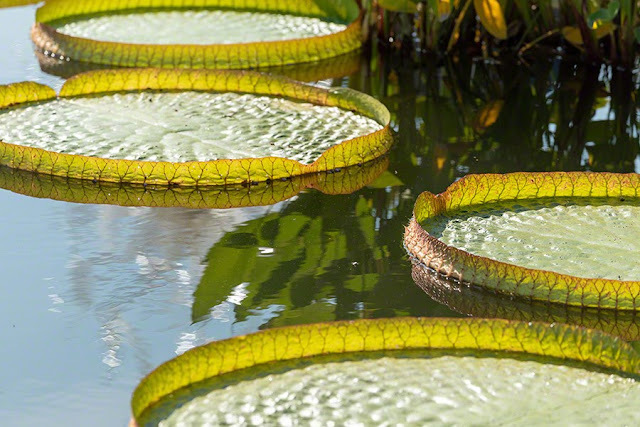 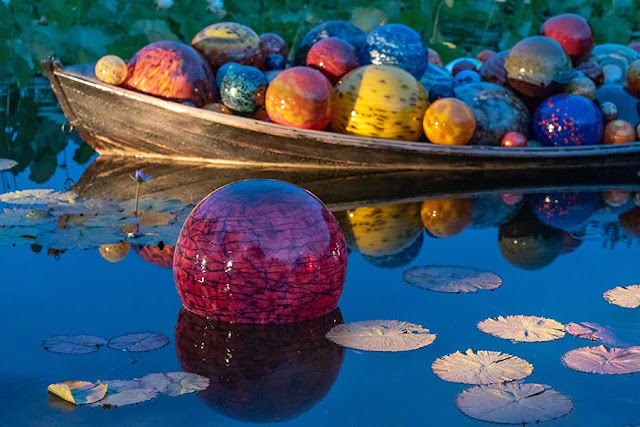 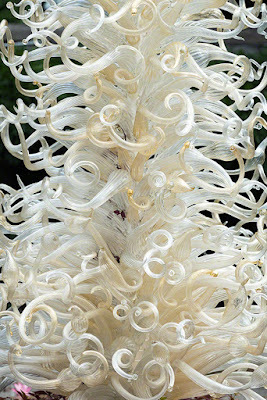 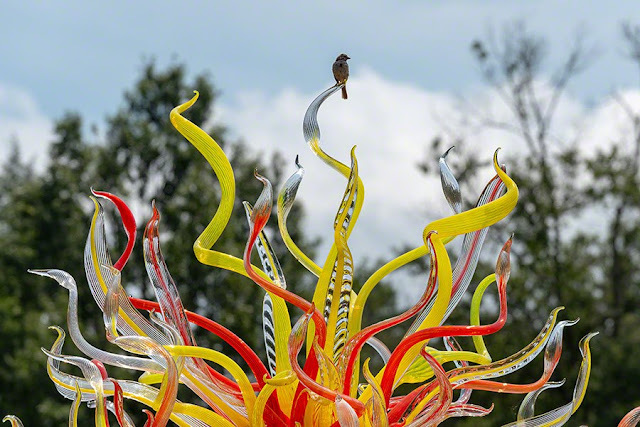 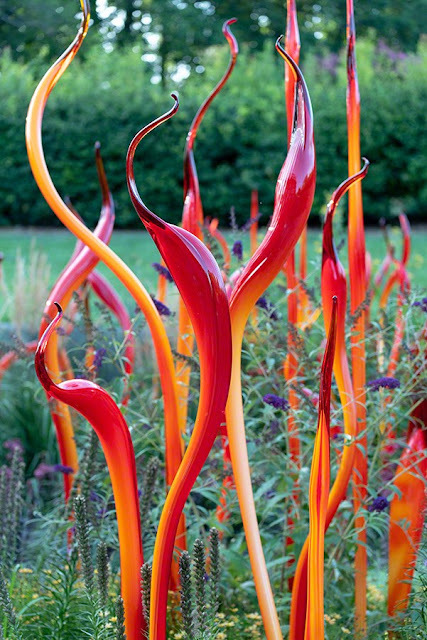 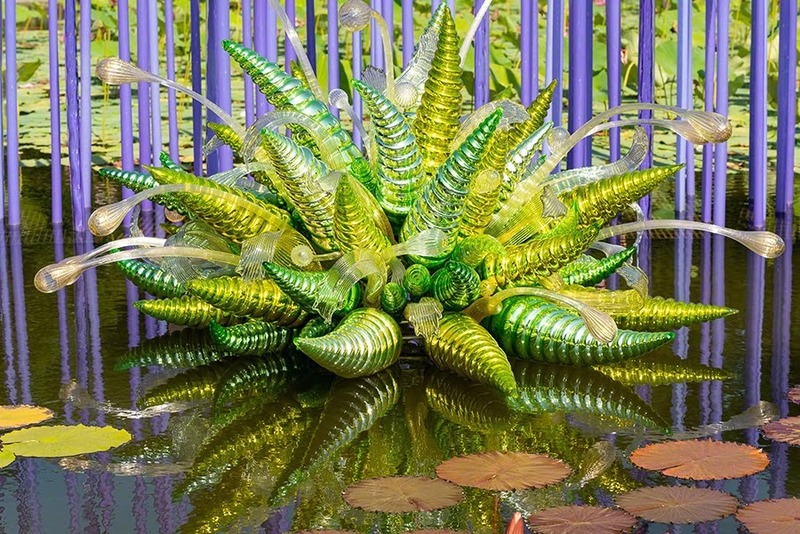 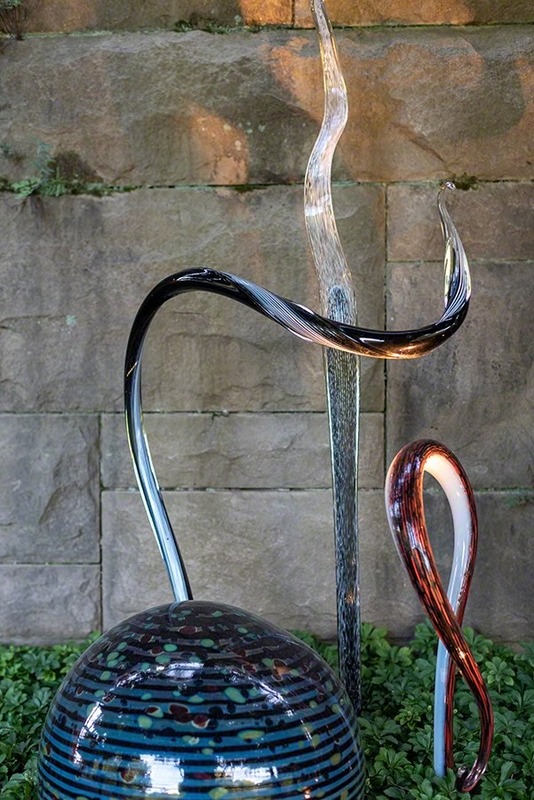 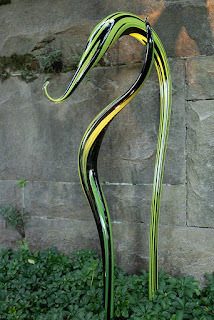 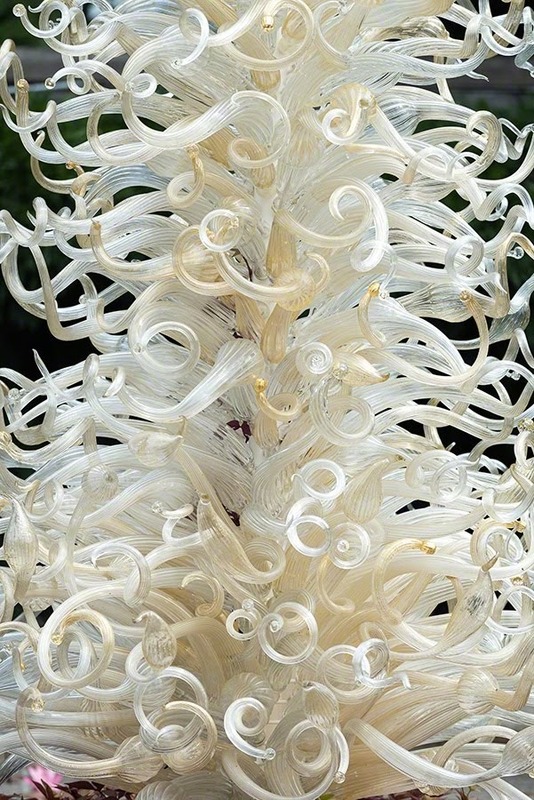 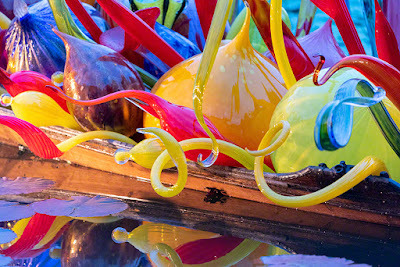 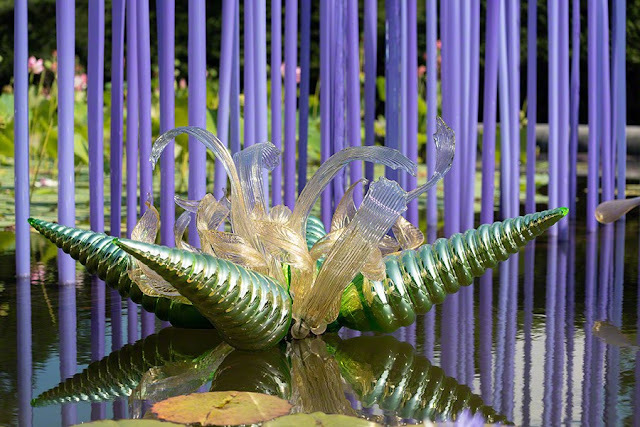 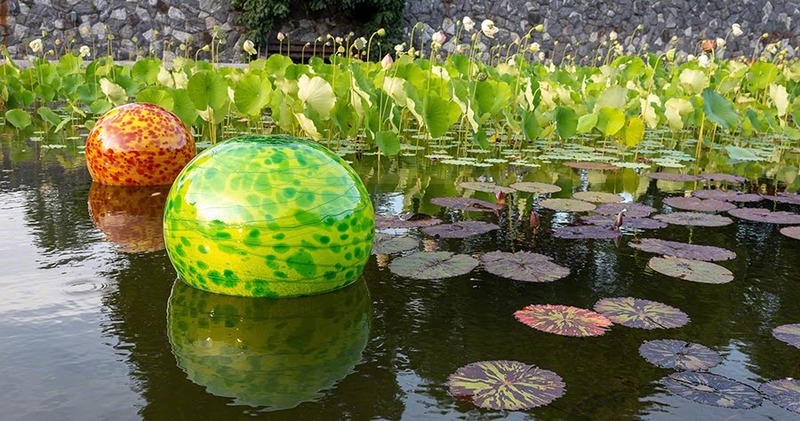 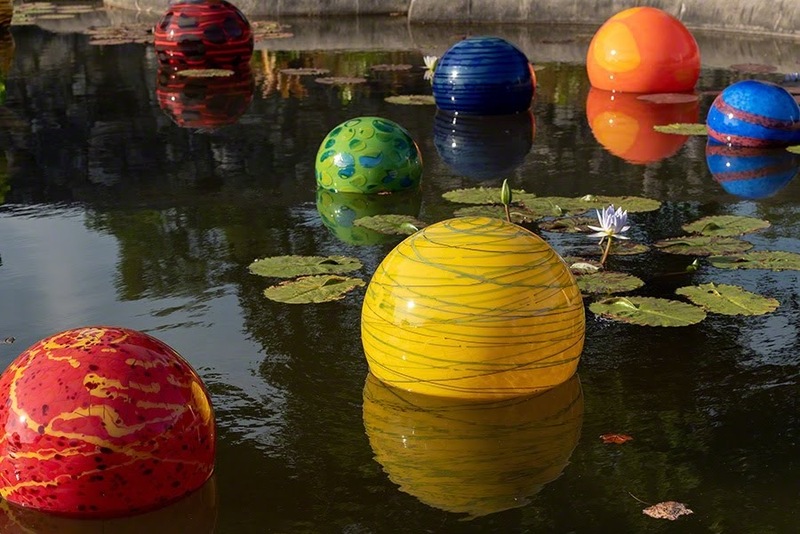 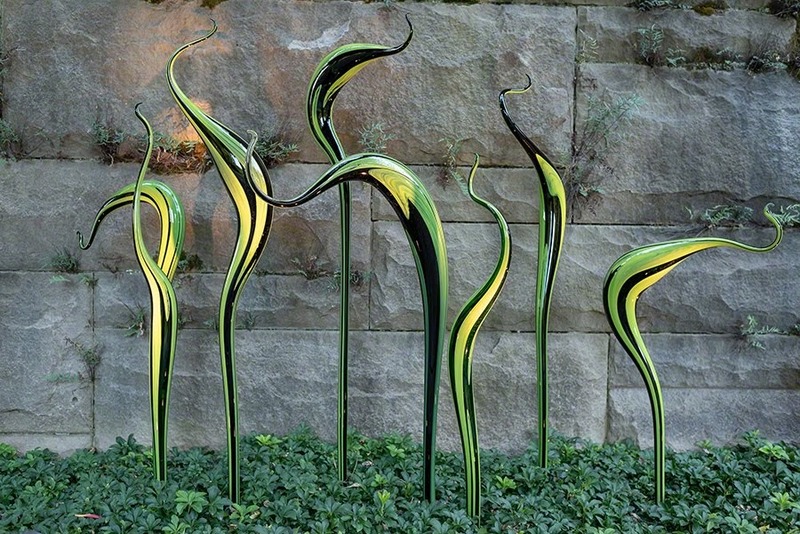 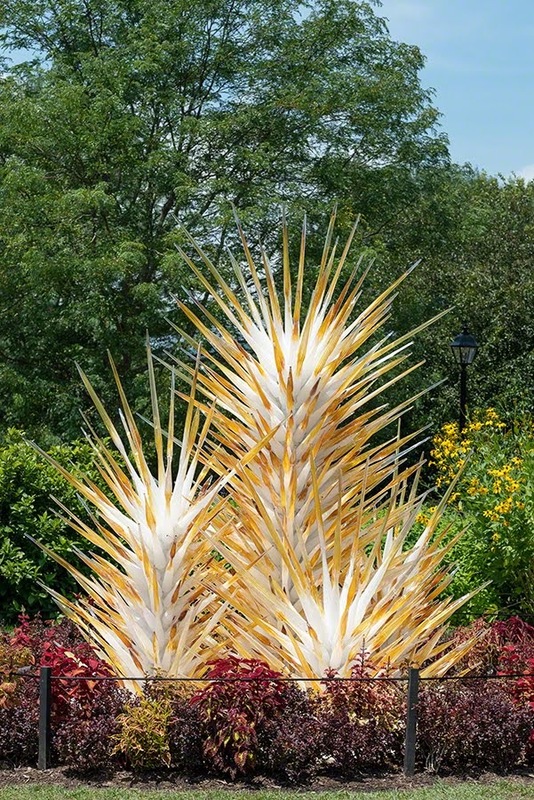 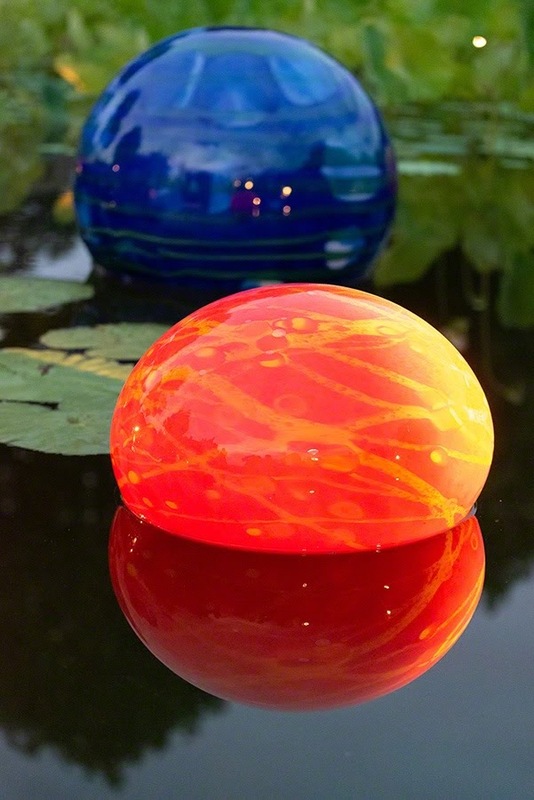 The glass sculptures were surrounded by sophisticated analogous and complementary colors in the gardeners' selection of plants. 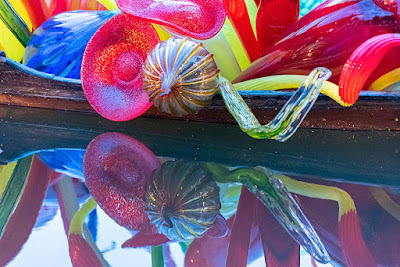 It was eye candy at it's best. 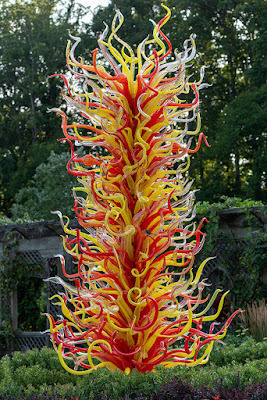 The Walled Garden had two large glass towers installed within colorful flower borders. The sensual "Cattails and Copper Birch Reeds" installed in front of the Conservatory was set among purple butterfly bushes, purple liatris, orange cone flowers and yellow wildflowers. 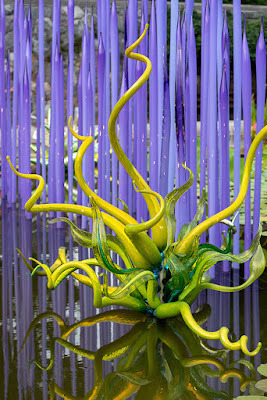 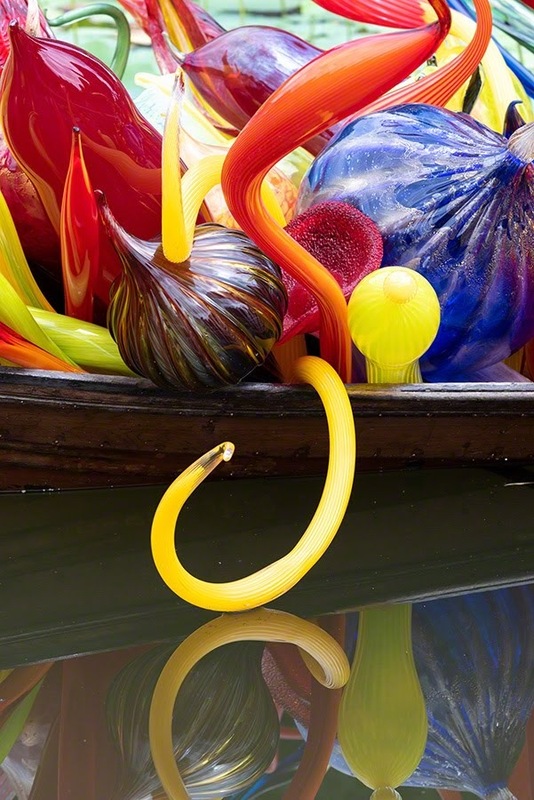 Nearer the house, Chihuly glass was installed in each alcove of the pergola. 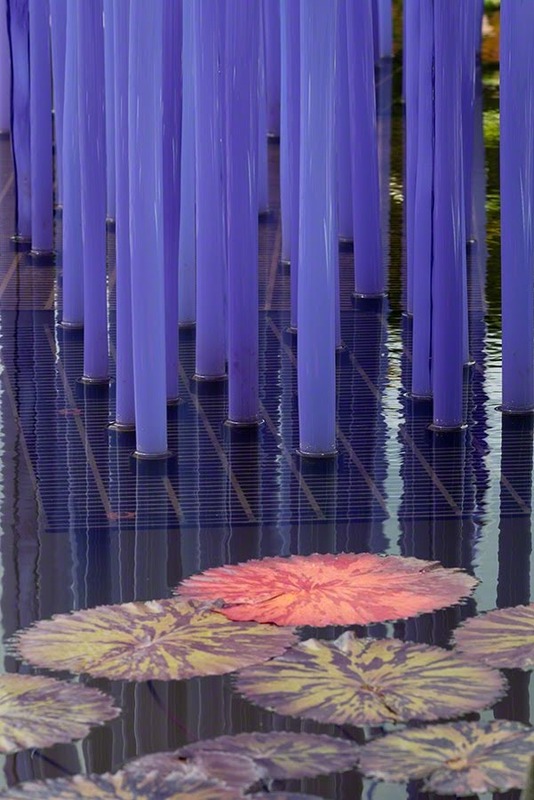 Each installation was a different color and shape. 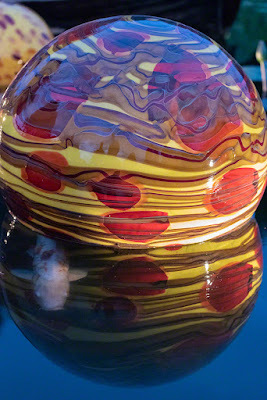 There were several more than I've shown here. Midday we left the Biltmore House gardens and drove to Antler Hill Village, also on the Biltmore grounds, for lunch at Cedric's Tavern. 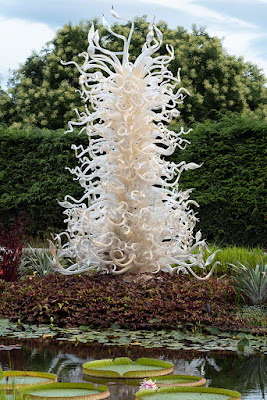 "Alabaster and Amber Spire Towers, 2017," was installed in one of the gardens. 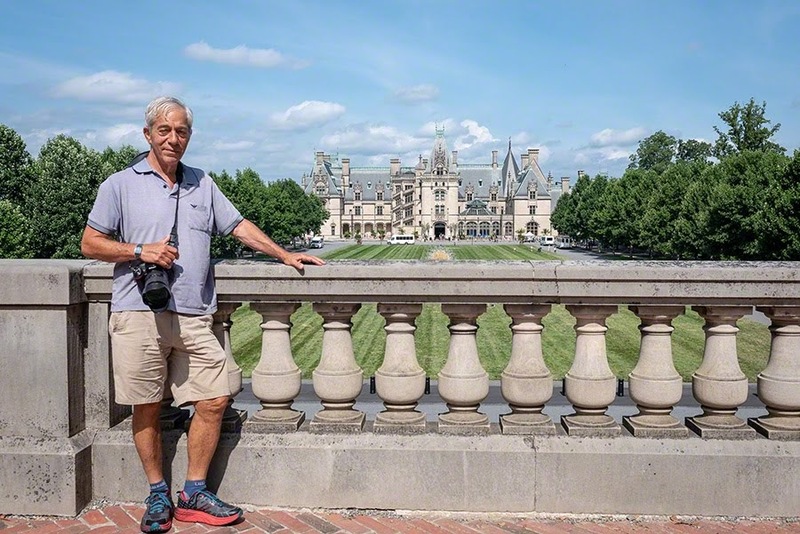 Back at the Biltmore House gardens we walked the paths again until it was time for dinner at the Stable Cafe. 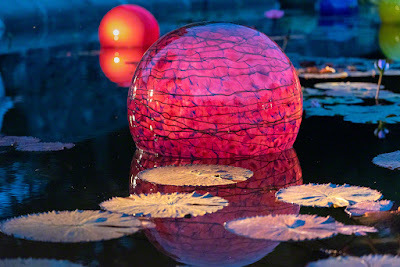 After dinner, the light was best for photographing the gardens as the glass installations were just beginning to be lit and there was sufficient ambient light to see the gardens. 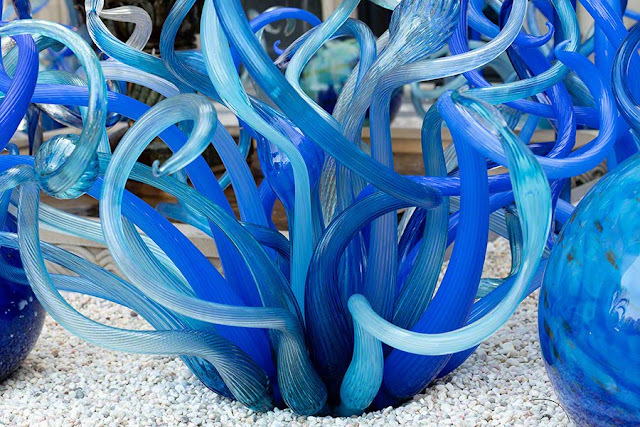 In front of the house was yet another glass installation called "Sky Blue and Cobalt Fiori, 2017." Finally, at 7:45 pm we were allowed into the house for a self-guided tour of the first floor. 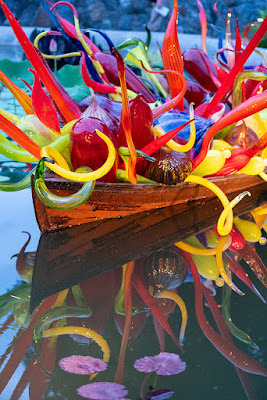 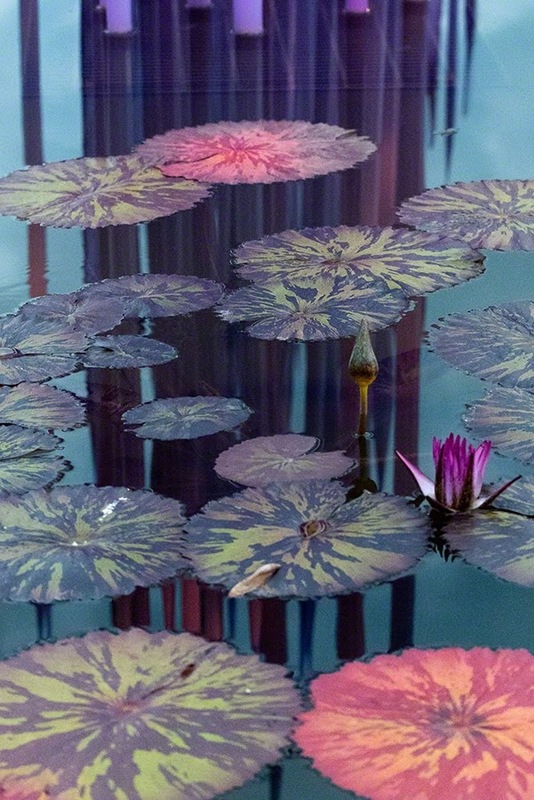 Just inside the entrance, in the Winter Garden, was a large, complicated assemblage called "Laguna Torcello II, 2018." 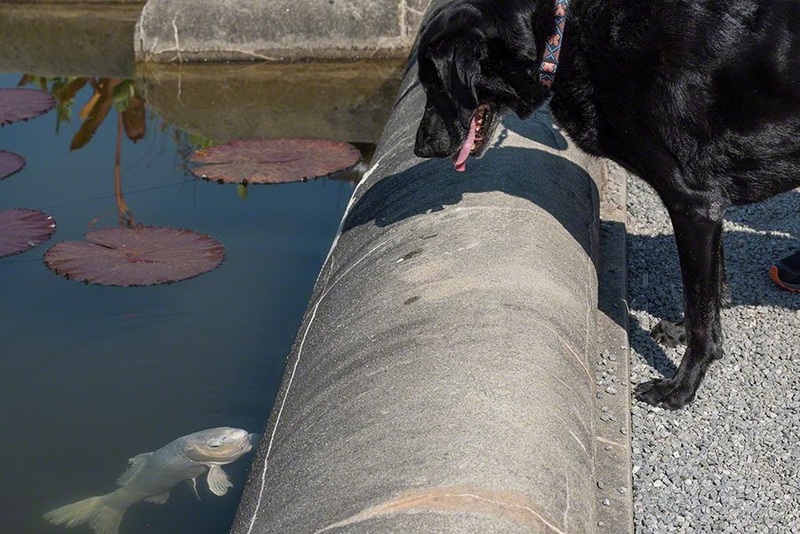 We weren't allowed to get close to it. 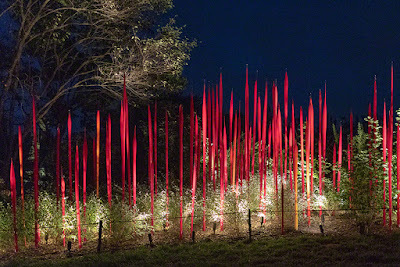 When we returned to the gardens, only the lighted sculptures were visible and it was really crowded. 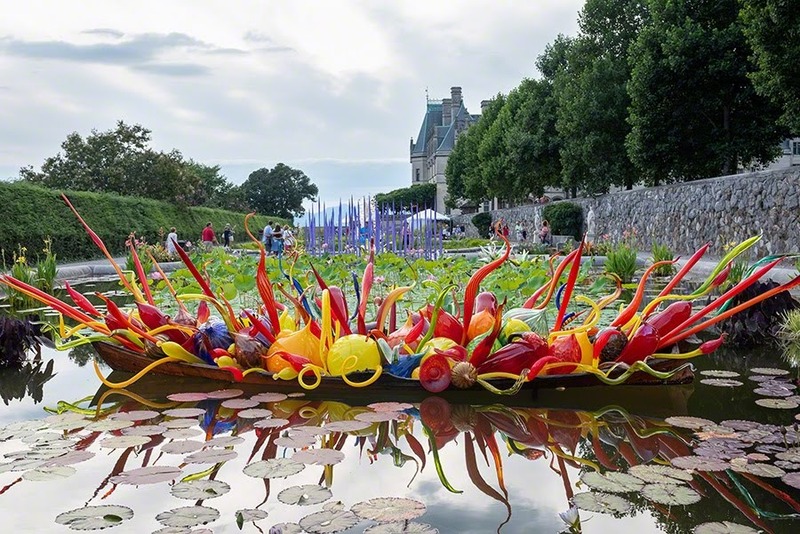 George Vanderbuilt's 250-room French Renaissance chateau was constructed from 1889 to 1895. The home contains over four acres of floor space, including 35 bedrooms, 43 bathrooms, and 65 fireplaces. 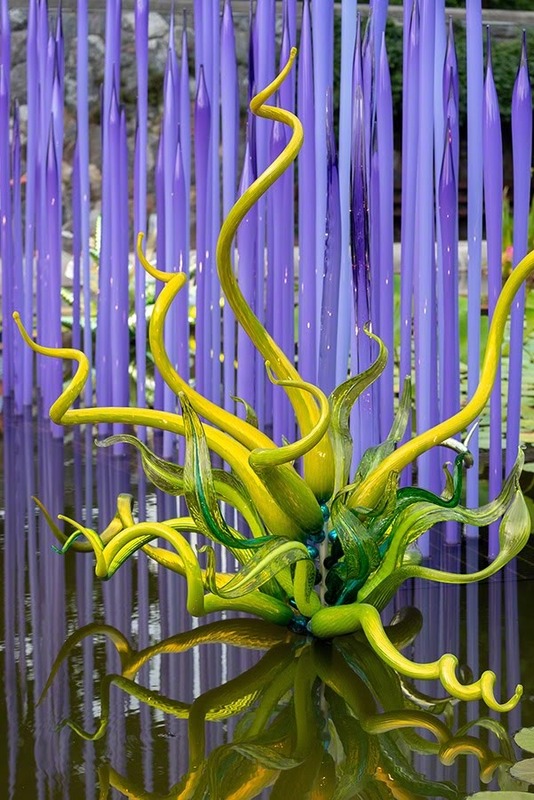 We were told that none of the bathrooms can be used because the clay sewer pipes have long since cracked and won't be repaired. 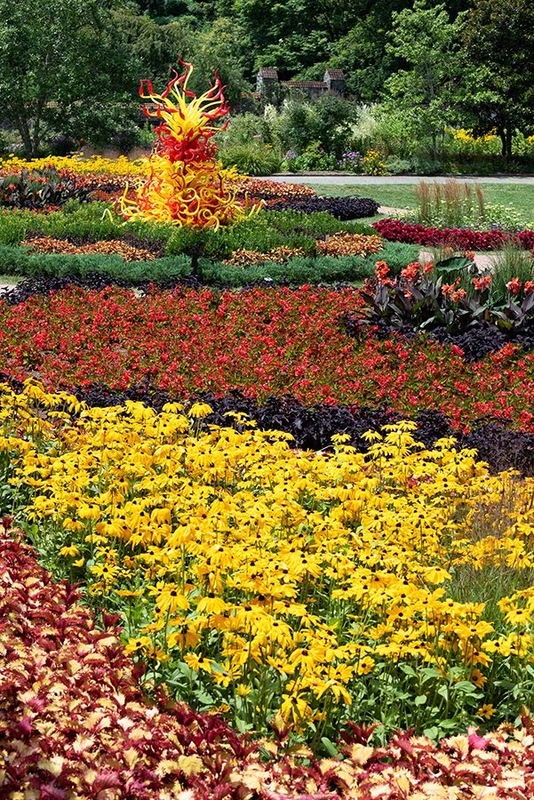 Frederick Law Olmsted, designer of NYC's Central Park, was the landscape architect. 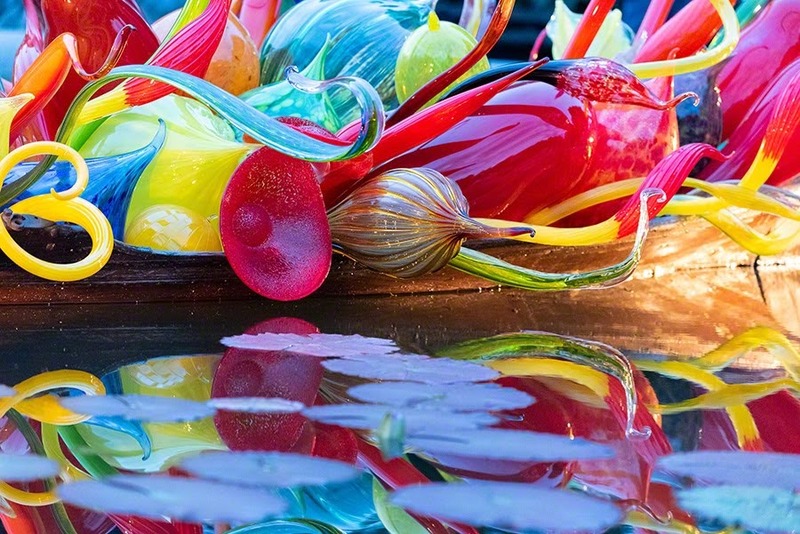 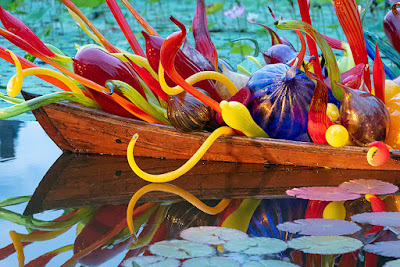 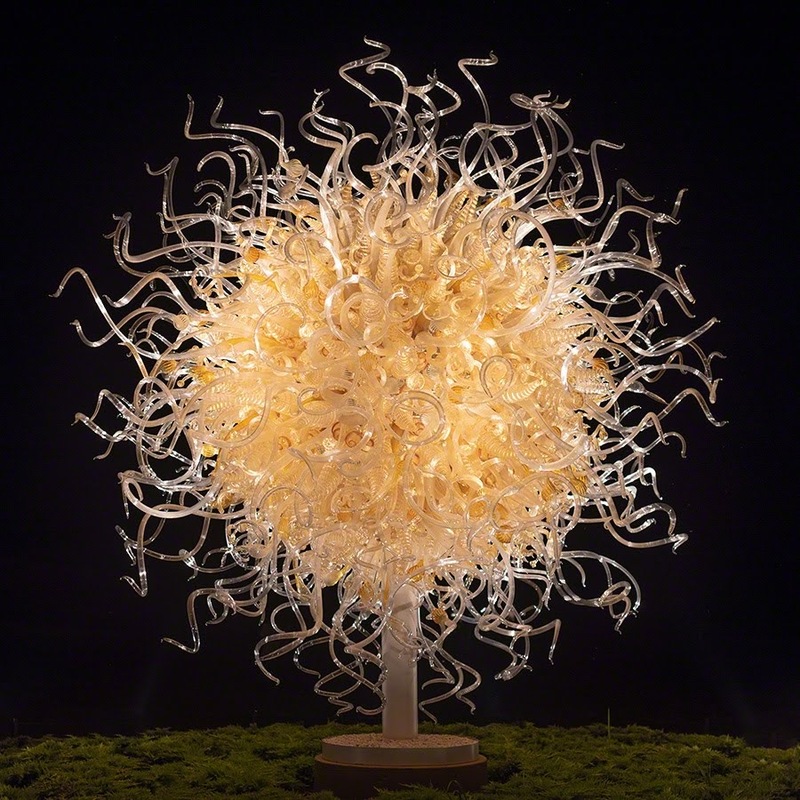 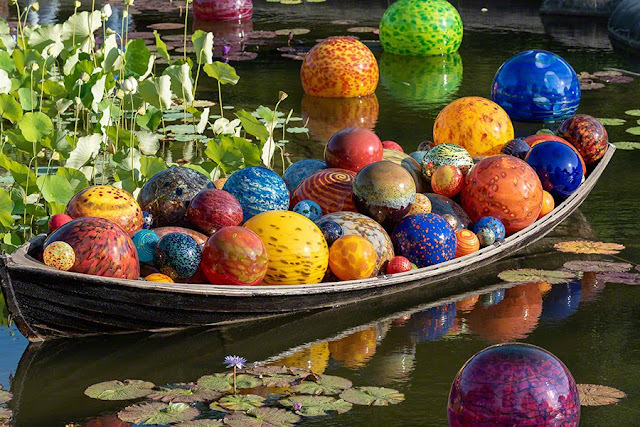 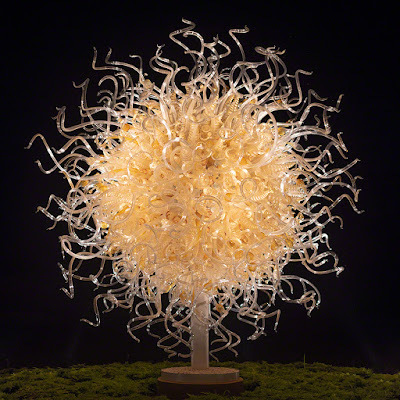 The Chihuly Exhibition continues to October 7, 2018.